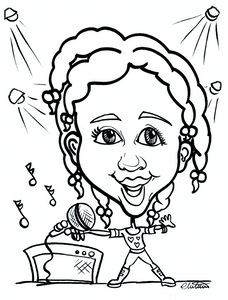 See Christina and her book featured on WKBW Channel 7 News in her hometown of Buffalo, NY! 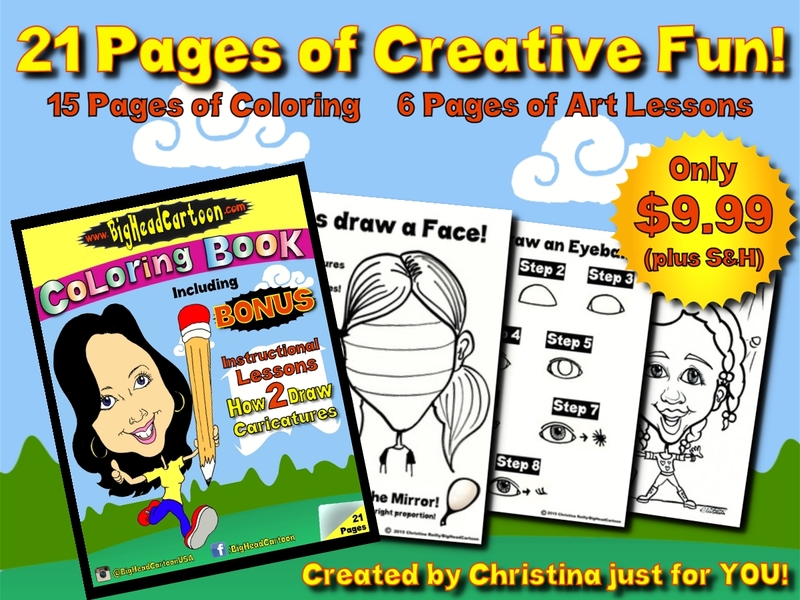 This 21 Page Volume contains 15 pages of coloring fun! 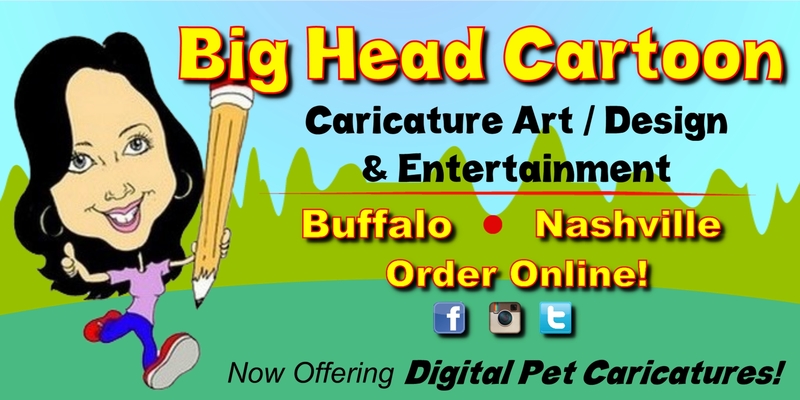 One of kind Big Head Cartoon scenes designed just for you to color by Artist Christina DeNee' Reilly. 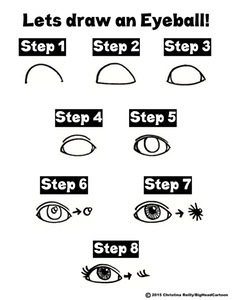 BONUS- Step by Step instructions on how to draw Caricatures like Christina!